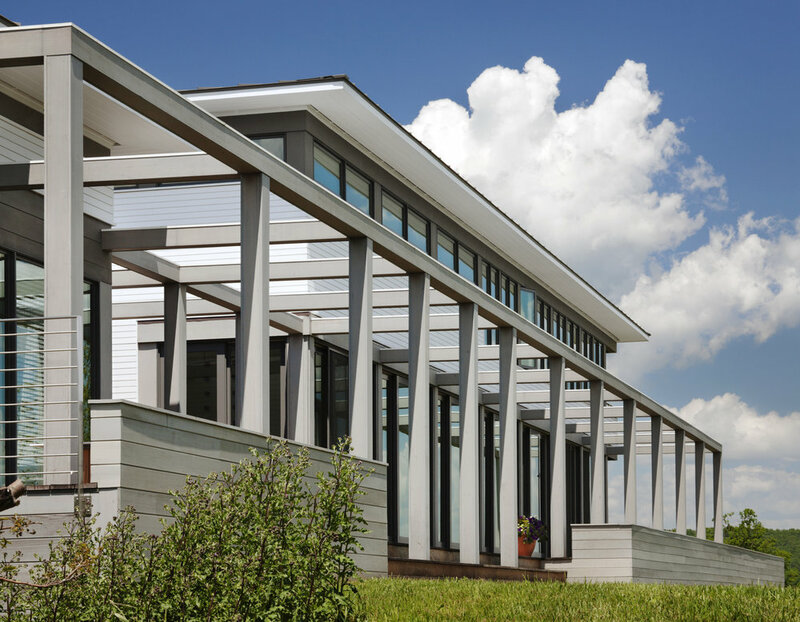 Located on a south-facing hillside, the site affords panoramic views or the surrounding countryside, which can be experienced from every room. 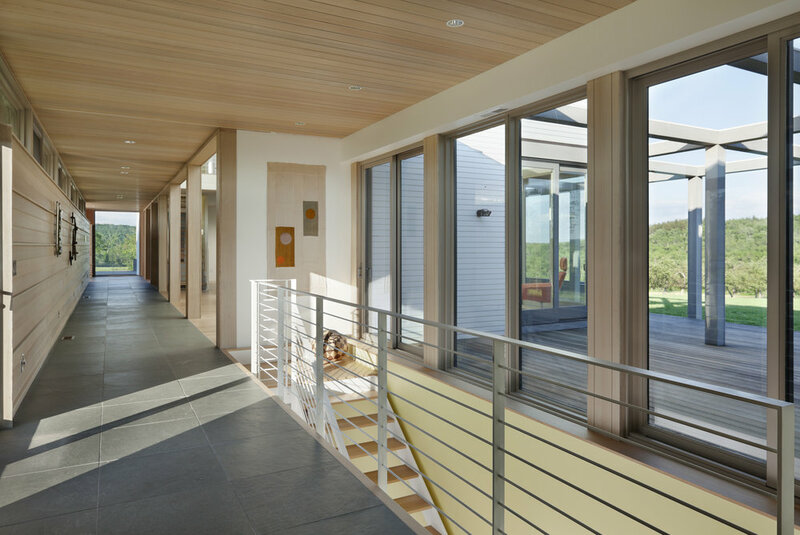 The house is one room wide with all of the windows facing south to maximize the vistas and to utilize the passive solar heating. Fenestration on the north façade is limited to triple glazed clerestory windows to minimize heat loss during the cold windy winters. The residence consists of three modules: the service wing with the garage, the main building and the guest wing. These are linked with a long interior gallery to the north and a pergola-covered veranda to the south. 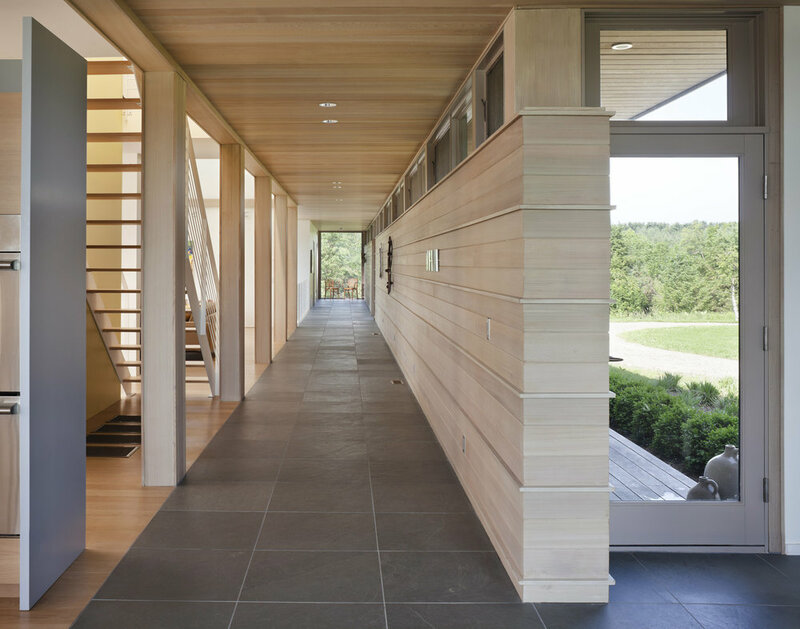 The gallery features a natural cedar ceiling and a stone clad wall, which spans the entire length of the house uninterrupted. 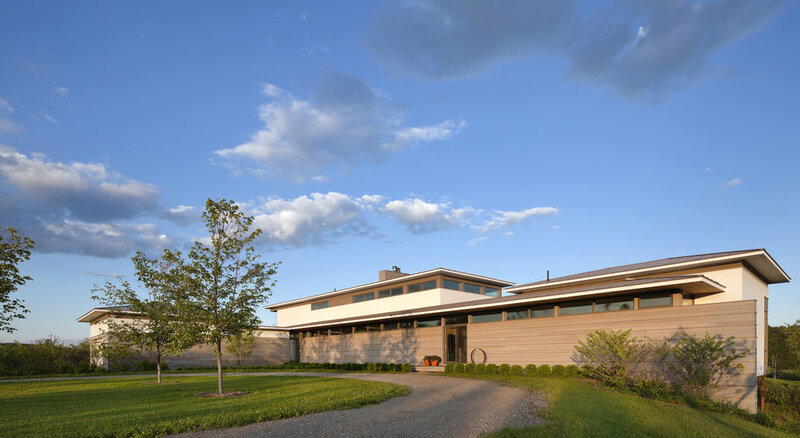 The master suite, located on the upper level of the main house, overlooks both the double-height living room and the expansive apple orchard outdoors. Guest rooms are privately located on the floor below.